Armageddon: Pick Your Plot - Kindle edition by AJ Lauer, Daniel Keidl. Children Kindle eBooks @ Amazon.com. Every culture and era interprets this frailty through its myths about the end of times. Truly, these disasters could strike at any moment! In Armageddon: Pick Your Plot, you are Elisabeth - a remarkable woman, destined to find herself in Death's way. Can you help Elisabeth survive the disasters awaiting her every turn? At any moment she might encounter deadly self-replicating nanobots, zombie plagues, alien invaders, unhelpful dwarves, or even the Rapture! With 42 world-shattering endings, Armageddon explores our end-time prophecies and makes terrible, catastrophic and certain demise a blast! 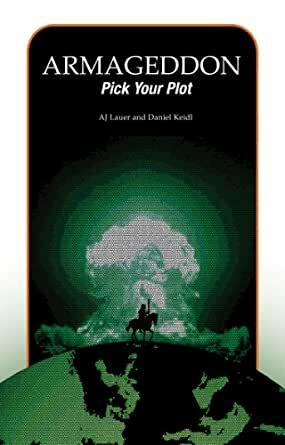 "If you're a fan of choose-your-own-adventure books, but you prefer them a little (okay, a lot) darker, try Armageddon: Pick Your Plot (Frog & Lion), co-authored by AJ Lauer '05 and Daniel Keidl '04. This wild, witty, imaginative, and paradoxically light-hearted book leads the reader through forty-two apocalyptic endings, including plagues, fires, hurricanes, threats from outer space, and many more wretched demises - in other words, "pick your poison," but on a grand scale..."
Daniel Keidl is a graphic designer and a truly rad dude. He was born and raised in Rochester, Minnesota. He now lives in Madison, Wisconsin where the sun always shines and delicious candy sprouts from every surface! At this moment he is liable to be elbow-deep in some insane project. Oh and I&apos;m handsome. 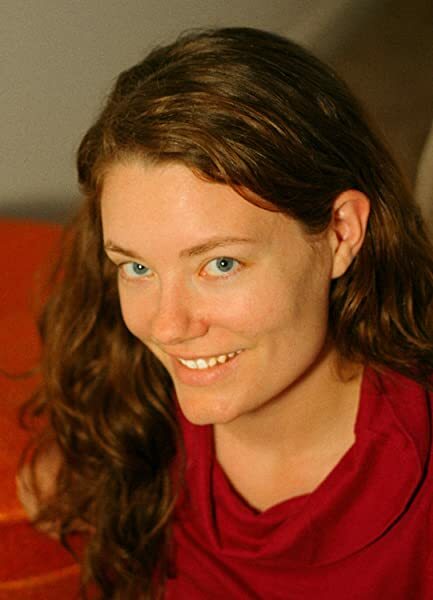 AJ Lauer works in science education and maintains a healthy reading and writing addiction. She lives near Boulder, Colorado and spends every spare moment in the out of doors. She (intermittently) maintains a blog at: ajlauer.net. If you survive the book you should stop by to say hi! As a child, I loved reading the Choose Your Own Adventure books. This little book brought me back to those days... except in this, I DIED almost every time. And had fun reading each wretched ending! Each story lines was creatively different, and it featured many different endings. (In fact, because I am one of *those* types of readers, I even read it front to back, just so I could read each ending. Although I enjoy this, I don't suggest this manner of reading with these pick-your-plot types.) This book will stay on my shelves for years... and am thinking it might make a good gift for my elementary-aged nephews. Like everybody, I dream of one day experiencing a fantastic death. And there are so many fantastic ways to die. It's just too bad that a person can only die once. But wait, what's this? With Armageddon: Pick Your Plot's multiple endings, the reader gets to die over and over again, in manners both glorious and fantastical. Whether you are Seeking a Friend for the End of the World, if you don't want to be Left Behind without making a Deep Impact, then This Is the End of The Road. Your search is over. This book is your one stop eschatological shop. I've always loved the concept of choose-your-own-adventure books, and Armageddon: Pick Your Plot does not disappoint. I've studied a lot of the science behind potential doomsday scenarios, and it's great to see so many of them all rolled up into one volume. The book is great for a quick read-through - It only takes a few minutes to sit down and go through an apocalypse - but definitely has re-read value due to having so many different endings. The "achievement" style goals of finding similar endings are a nice touch as well. 5.0 out of 5 starsPick your plot, pick your fun! I love these stories; so many ways to die but so much fun! If you don't like the way one story ended, go back and fix it! It's like 47 books in one! 5.0 out of 5 starsA "Choose Your Own Adventure" style end of the world.. I used to love the Choose Your Own Adventure books as a kid. This book is in that vein, and I picked it up for some fun reading. It hit the spot. There's a bunch of different ways for the world to end! Although you can't expect your decisions to really have any sort of predictable result on what happens next (ie you choose a certain career path and then suddenly massive floods occur, vs a different career and it is a virus outbreak instead), I feel like that's always been the case for this style of book. 4.0 out of 5 starsEnjoyable and Engaging! Enjoyable book overall! 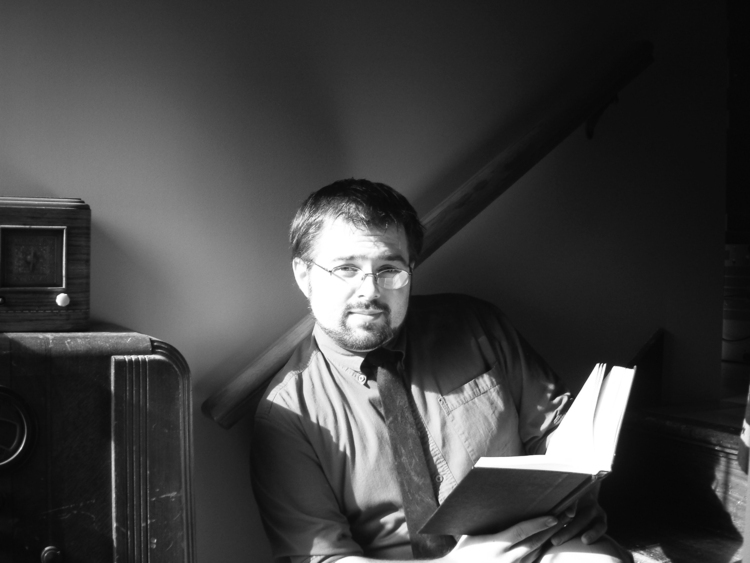 The benefit to the choose your own adventure style of the book is the ability to easily get through an adventure on a lunch break or quick mind break at work, or whenever a distraction is needed. The variety of story lines that evolve from each choice are very engaging and keep you guessing. 5.0 out of 5 starsAn outstanding piece of work. I've always been a fan of the 'Choose Your Own Adventure' type books. 'Armageddon: Pick Your Plot' brings all of the fun of choosing, but matches it to interesting content that you'll enjoy from start to finish.